The first time we pulled a MacBook Pro out of a Henge Dock, it was in the middle of a Time Machine backup. Ouch. In that instant, the concept behind unDock was born: one keystroke to prepare your machine for the road. 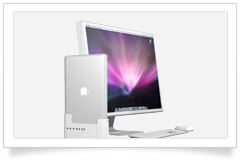 When you combine a mobile Mac, a Henge Dock, and unDock, you have the power to turn your MacBook into a portable iMac. 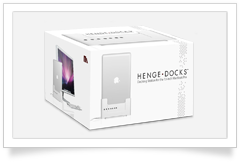 Check out Henge Docks now - you will be more than impressed. Time machine is wonderful, but it makes a mobile Mac user cry- waiting for a backup to finish or cancel before we rush to a meeting makes life difficult. 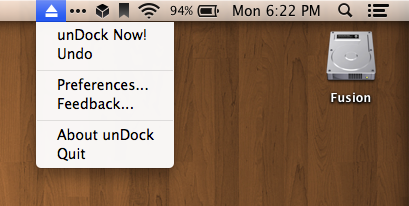 unDock adds a simple but critical piece of functionality to your Mac- an "Eject All" shortcut with super powers. Requirements: Compatible with Mac OS X 10.6+. 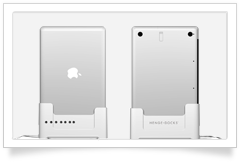 No screen real estate needed- and still unDock is only a single click away. Choose your own custom key combination to trigger unDock. Create your own scripts to unlock unDock's true potential. 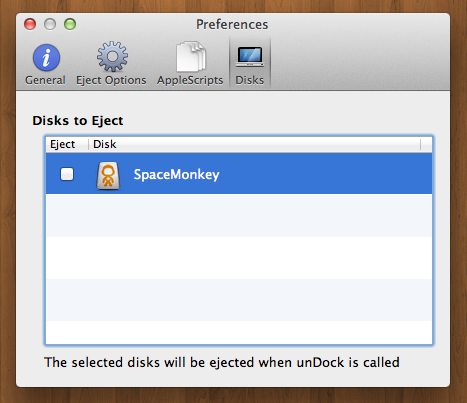 unDock supercharges your Mac's disk-ejecting functionality. No joking around here, unDock really works. The Mac App Store reviews are all the same, saying thank you to the folks at Flying Paper Software for solving one of the little pains in the #@% known to make a grown man cry. I don’t give out 5 star ratings easily, but after seeing the simplicity and usefulness of this app I know that unDock will always be a part of my Mac life. Undock is a happy addition to a road warrior’s toolkit, allowing for a quick, clean exit. The app has one purpose in life and it does it well. Don't let it's simplicity fool you. It is very powerful. I love that you can run scripts when disks are "unDocked". It gives you nearly endless possibilities. I use Time Machine on an external drive at work, but I quite frequently need to unplug on a minute's notice to bring the laptop to a meeting or discussion. Before unDock, if Time Machine was doing a backup at the time, I'd either have to leave the laptop or grit my teeth and pull the cord out, causing OS X to give me sundry stern looks and disapproving lectures. Now I just hit the shortcut, wait a few seconds, and I'm off. Works like a charm. Certainly one of the most useful apps I have ever bought! Where can I find AppleScripts? We're working to build a compendium of AppleScripts you'll find useful- as well as a submission system for you to share your own. Coming soon! What kinds of drives are supported? The removable kind- most specifically USB or Firewire. 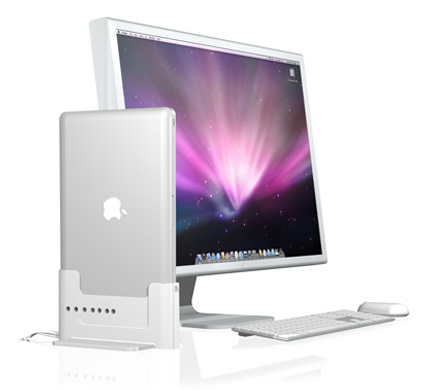 It ignores any locally mounted (SATA, for example) drives, as well as disk images, CD, and DVD drives. How is this magical thing done? The standard- funny little elves, unicorns, and such. No, really, it's not that complicated- unDock leverages OSX' own APIs to identify and eject removable drives. It's that simple! Use the Contact Form. You can also email us. Make sure to mention "unDock" in the subject. We're quite serious about both- hence the name, "Flying Paper Software". A single sheet of paper can both fly (wow!) and offer countless hours of fun to the hand in which it rests. 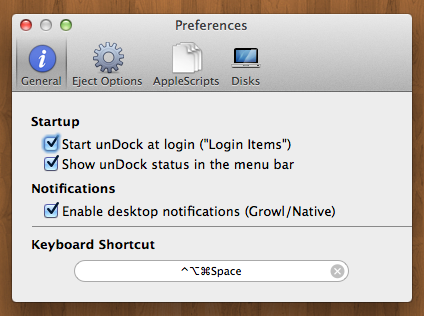 unDock represents this as well- it provides a very simple bit of functionality overlooked in the core OS. Some day, it will become redundant as this hole is patched, but today, Flying Paper Software will have a bit of fun filling in the gaps. Fixed: Thunderbolt drives are now detected and ejected. New: Added support for SD cards, Disk images, and more. New: Manually set any disk to eject when unDock is triggered. New: Retina support, Undo, scheduling for AppleScripts, and so much more! Fixed: FireWire drives are now detected and ejected (as originally intended). New: Network drives are now supported- you can enable this in the Preferences window. New: You can completely hide unDock! If you need to access its menu, simply run the application again- this will show the Preference window. New: When undocking, the application no longer refuses interaction, but instead pulses to show activity. Fixed: unDock now cancels any running Time Machine backups before attempting to unmount. Fixes unDock erroneously reporting that the volume couldn't be unmounted. New: Allow ejecting optical media (CD/DVD). New: Revamp preference pane for usability and App Store compliance. Fixed: Remove BWToolkit (despite its amazing qualities) due to private API calls. New: User can supply custom AppleScripts to run when unDocking. New: Allow eject behavior to be disabled in preferences. New: Ask the user (on first run) if unDock should be added to Login Items. Fixed: Rather egregious first-install bug that prevented operation until preferences where opened at least once.